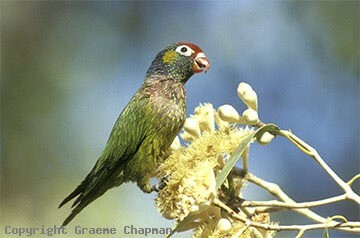 Varied Lorikeets range right across northern Australia from near Broome in W.A. to the western side of Cape York Peninsula. 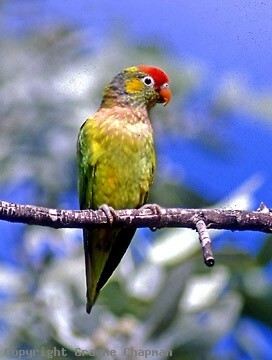 They are regarded as being nomadic, following the flowering of the trees in which they feed, sometimes into quite arid areas such as Mt Isa in Queensland. 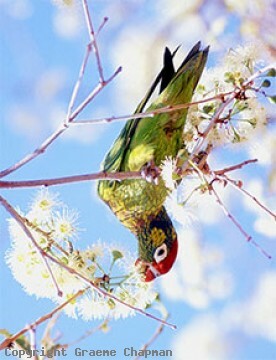 They mainly feed on nectar and pollen, obtained from eucalypts , melaleucas and also Bauhinia. Often in quite large flocks, they can be aggressive and garrulous in nature towards other species feeding nearby. Profusely flowering bloodwood is particularly attractive to them such as in these pictures taken at Mt Isa in July 2017. The birds remained feeding there for more than a month. 257202 ... 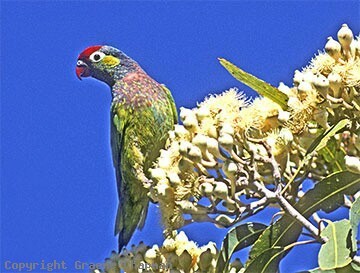 Varied Lorikeet, adult feeding on bloodwood blossom. 257204 ... Immature with small periophthalmic ring.